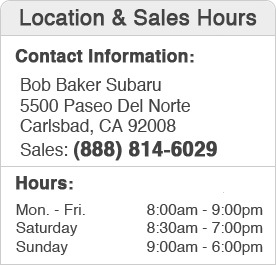 Bob Baker Subaru - Carlsbad loves to receive comments, suggestions and questions from our valued customers! We encourage you to submit feedback. Upon receipt, someone from our dealership will get back to you as soon as possible.